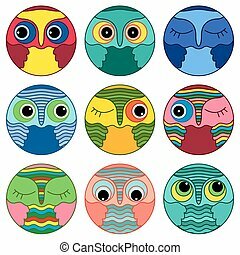 Nine owl faces in circle shapes. 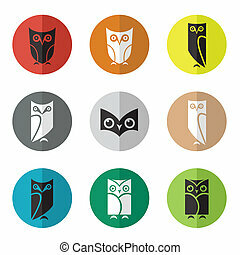 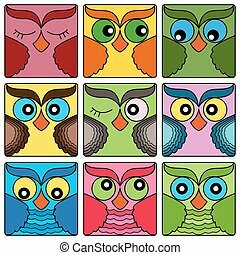 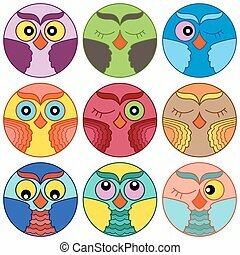 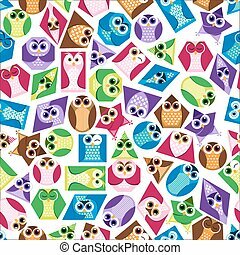 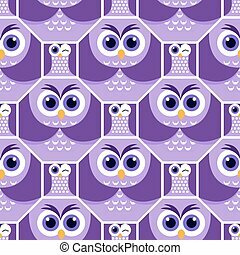 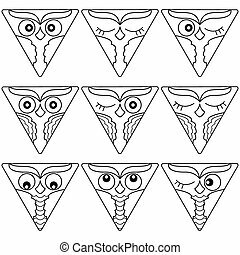 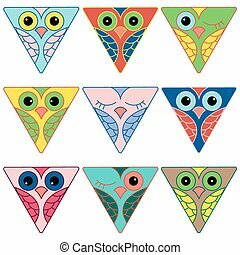 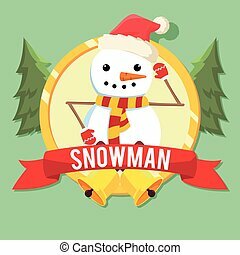 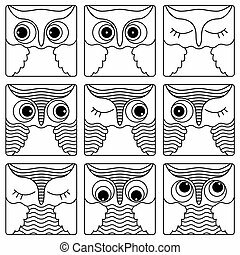 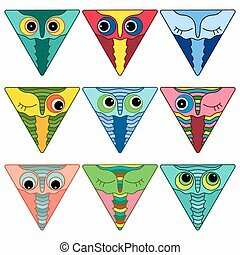 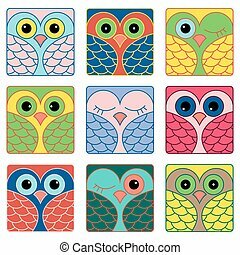 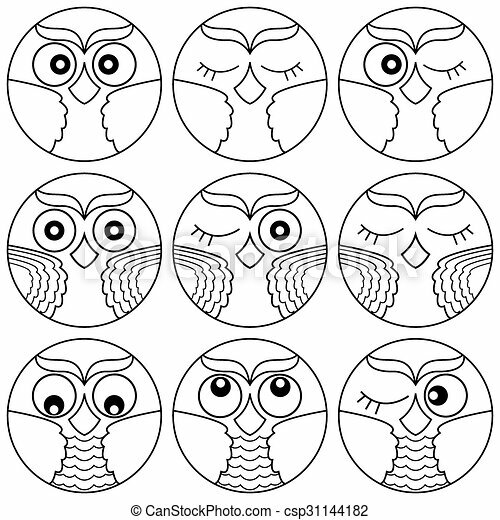 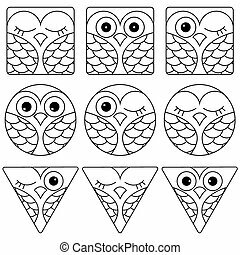 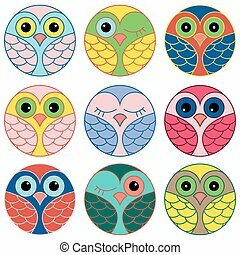 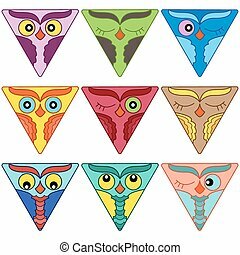 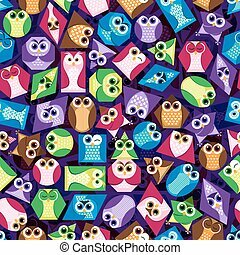 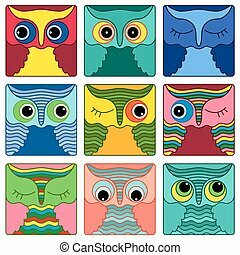 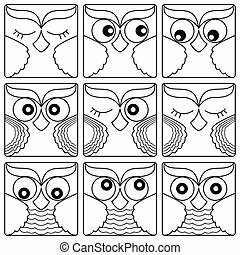 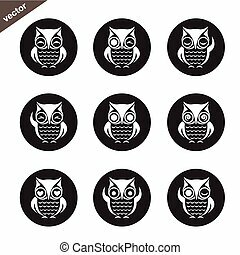 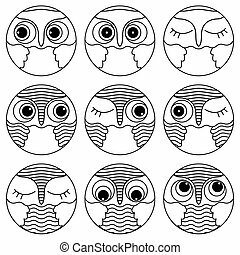 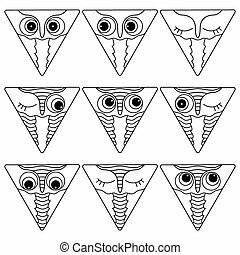 Set of nine cute owl faces placed in circle forms and isolated on a white background, cartoon vector black outlines as icons. 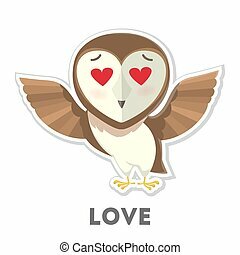 Isolated cartoon owl in love on white background.